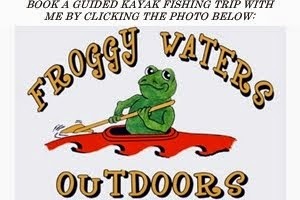 Hi - Will you please post this Blog at The Bass Fishing Community at vorts.com? Our members will love it! It's kinda sad when waters decline due to water quality and conservation issues. It hurts my heart. But, that happens and we need to continue to educate people on these topics. Glad to see the hydrilla hasn't totally wiped out everything. Looks like a fun time! I really enjoy fishing small waters like that. They can hold some nice fish and you wouldn't expect them too.